We’ve been busy compiling some more cool statistics from this year’s 7th iteration of the Google Summer of Code program: enjoy! This year we had a total of 595 different universities participating in the program, 160 of which were new to the program. The 13 universities with the highest number of students accepted into this year’s Google Summer of Code account for 14.5% of the students. These universities are listed below. 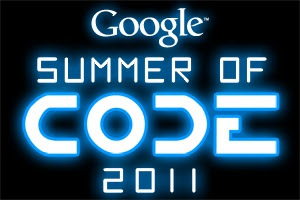 The breakdown of college degrees for the 2011 Google Summer of Code program was as follows: 55% of the students were undergraduates, 23.3% were pursuing their Masters degrees, 10.2% were working on their PhD’s and 11.5% did not specify which degree they were working toward. For the first time since starting Google Summer of Code in 2005, we asked the participants their gender. (Previously we had “guess-timated” based upon the style of tee shirt they requested). This year we had 7.1% female, 89.3% male and 3.6% that declined to state their gender. In previous years of the program the percentages of women based upon t-shirt requests was as follows: 7% in 2010, 6% in 2009, 5% in 2008, 4% in 2007, 3% in 2006 an 6% in 2005. Thank you to all of the students for another great “summer” filled with code!